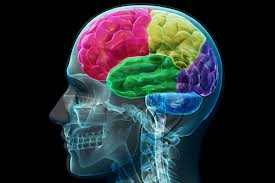 Countless studies are now showing us, that through mental training the brain can permanently be altered, a process now referred to as top-down plasticity (Begley, 2007). Since my undergraduate work was in Genetics and Molecular biology, I have enthusiastically followed the epigenetics research, how environmental conditions can play a significant role in whether you will or will not get a specific disease – it’s not all in the genes, but rather in the gene expression. Interestingly, the brain is no different. Gene expression is turned on by novelty and surprise, thus, deep meditation or hypnosis (a state of altered brain wave patterns) can stimulate neurogenesis and the building of new neural pathways, hence, insight. I guarantee you've experienced this yourselves. You’ve spaced out for a few minutes, when all of a sudden a brilliant insight pops into your mind – that ‘spaced out’ feeling you experienced was a trance or hypnotic state. As a matter of fact, the average person moves through natural neural rhythms of arousal to relaxation 12 times a day. Mindfulness, deep meditation or hypnosis is a method to quickly induce the brain circuitry for plasticity. PET scans show thought during deep relaxation, the left pre frontal lobe is activated and the right pre frontal lobe activity decreases. The left pre-frontal lobe is associated with positive feelings, while the right with anger and anxiety. Using this knowledge, experiments have been conducted on patients with anxiety, depression and OCD, all showing significant improvement when mindfulness techniques were included in treatment. I’m a sucker when it comes to positive genetic changes in the brain, and love meditation but don’t have the time for it, nor do most of my patients – thus, my keen interested in hypnotherapy. Almost finished my 100 hours training, and can’t wait to start making positive change with my patients. If you're new to meditation, your mind is running around, with thoughts like: "What should I do? Is this really all there is to it? What am I supposed to feel?" Here are 10 easy meditation techniques to help you get started, and get the most out of your daily meditation.